Out of Sight, a five minute short film, features a little girl whose perception of the world is put to the test when her guide dog runs off. The animated cartoon was a graduation production made by three students at the National Taiwan University of Arts. 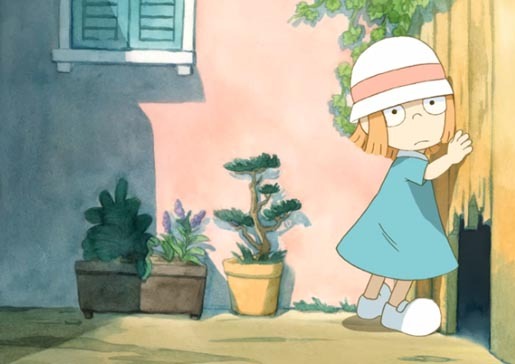 The main character in the story confronts a robbery and strays from the road she is familiar with. After passing a fence, she enters an unknown world, unveiling a magical adventure using her imagination and senses other than vision. With soft and cute colors as the main key, simple designs are used to depict the little girl’s imaginary world. The Out of Sight film was produced by Ya-Ting Yu (director, animator, CGI and compositing) Ya-Husan Yeh (background, coloring and compositing) and Ling Chung (animation and coloring). See more behind the scenes.